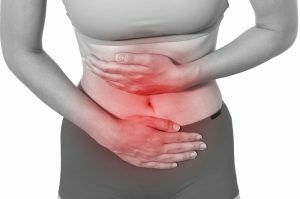 Can Pelvic Rehab Physical Therapy Help Dysmenorrhea? Primary dysmenorrhea is usually caused by chemicals called prostaglandins which come from the lining of the uterus, and are most prevalent on the first day of menstruation. As menstruation continues, prostaglandin levels decrease, and the pain that they cause begins to decrease. Secondary dysmenorrhea is usually caused by a disorder in the reproductive system. Common associated disorders include; endometriosis, where uterine tissue forms outside the uterus; adenomyosis, where uterine tissue grows within the muscle walls; or fibroids, which are non-cancerous tumor-like growths that form in or around the uterus. Secondary dysmenorrhea may not occur until later in a woman’s life, and the pain tends to increase over time. Dr. Holly Tanner, PT, DPT, MA, OCS, WCS, PRPC, LMP, BCB-PMD, CCI, writing in The Pelvic Rehab Report, assures us that there is hope for women suffering from dysmenorrhea. A recent literature review asked if physiotherapy can help with symptoms of primary dysmenorrhea. Of the articles reviewed, 186 were chosen, and included a range of articles from descriptive, experimental studies to prospective, randomized controlled studies. A variety of interventions and approaches were included in the review, such as [transcutaneous electrical nerve stimulation], abdominal massage, acupuncture, cryotherapy and thermotherapy, connective tissue, Pilates, and belly dance. All of the approaches demonstrated some therapeutic benefit, either in response to the immediate application of the intervention, or up to a few months after the intervention was applied or instructed. A pelvic rehab physical therapist will be able to diagnose dysmenorrhea via a pelvic exam or ultrasound, and can prescribe the best treatment options on a patient-by-patient basis. These specialists can help reduce or cure dysmenorrhea without the use of invasive surgeries, and they can also evaluate for any other disorders which may be complicating a patient’s condition. Dysmenorrhea is painful and common, and most importantly it can be treated. Visit the pelvicrehab.com practitioner directory to find a pelvic rehab physical therapist who can help treat painful menstrual cramping. © Copyright 2019 Pelvic Rehab | Site Design: FDGweb, Inc.